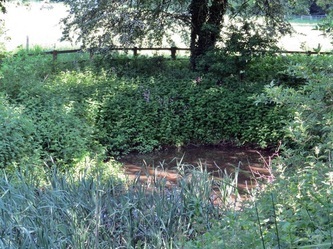 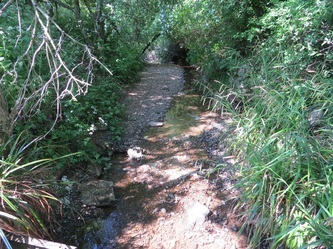 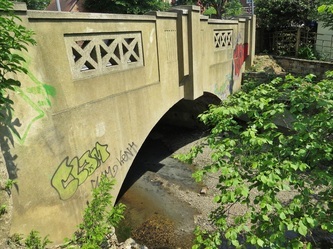 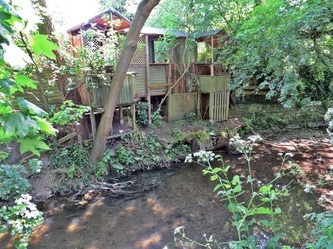 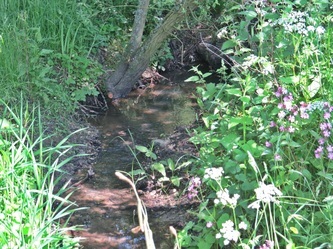 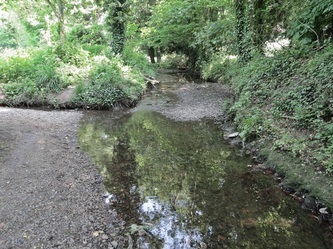 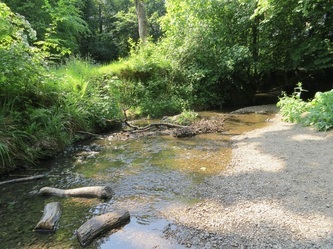 Dollis Brook is a tributary of the River Brent, which is itself a tributary of the River Thames. 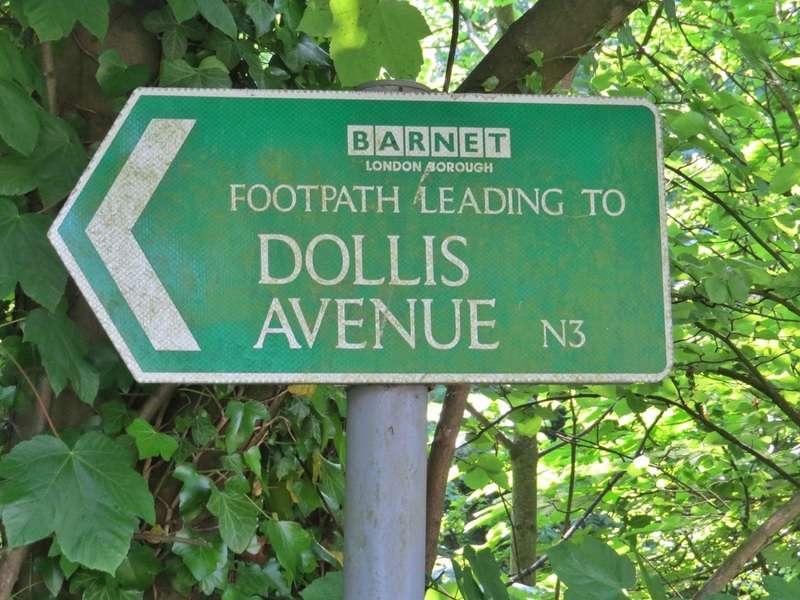 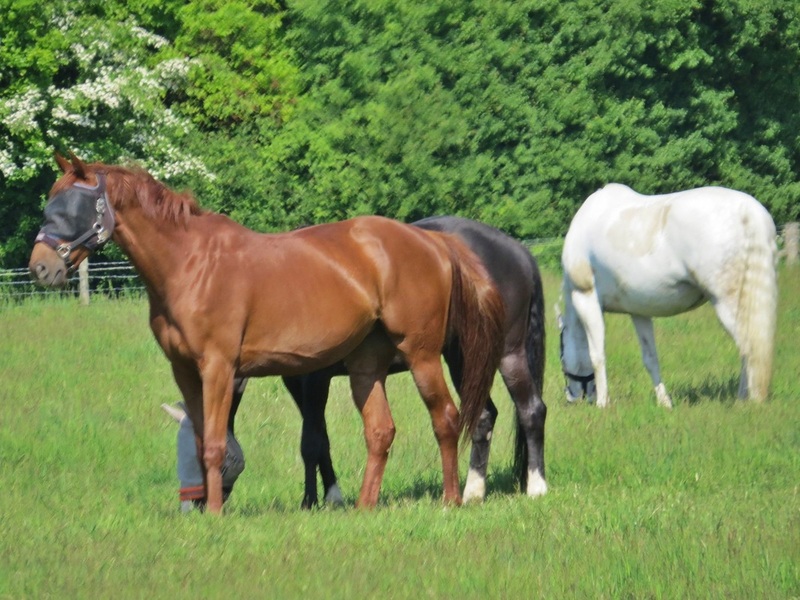 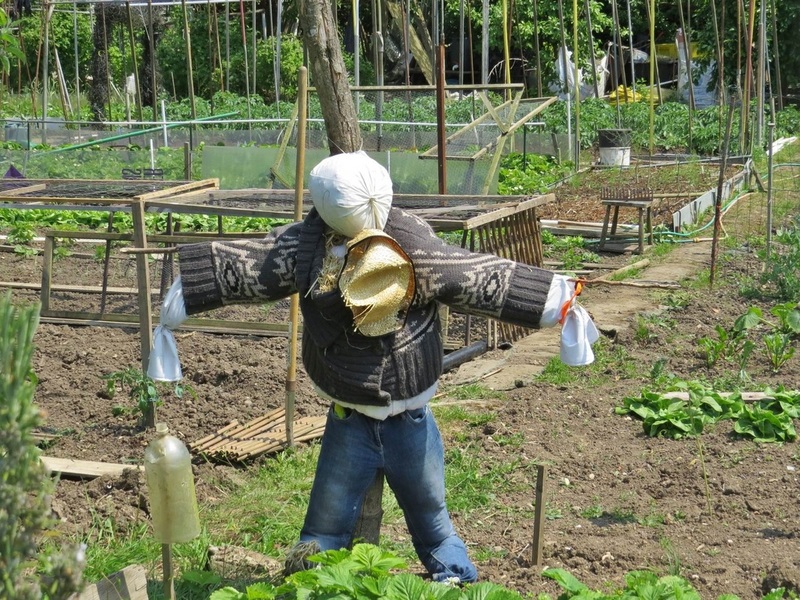 The name Dollis is likely derived from the English word 'dole', meaning the shares of land in the common field. 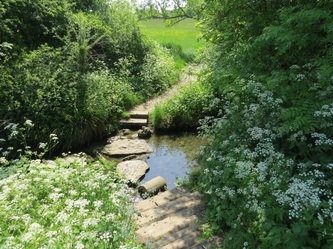 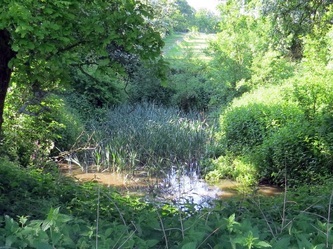 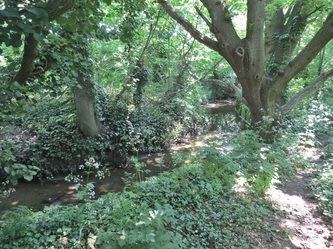 Dollis Brook rises on Moat Mount Open Space in Mill Hill and then flows eastwards through Totteridge Fields, and then through fields and open spaces to King George V Playing Fields . 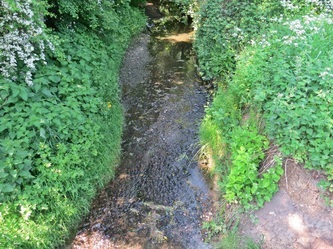 The brook then turns southwards and forms the eastern boundary of Totteridge past Totteridge Lane near Totteridge and Whetstone tube station, and then continues south through Woodside Park (where it merges with Folly Brook) and West Finchley, before passing under the Dollis Brook Viaduct* which carries the Northern Line between Finchley Central and Mill Hill East tube stations. 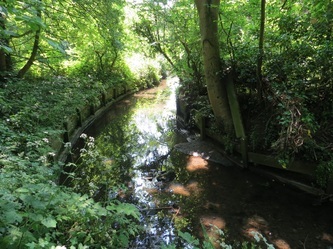 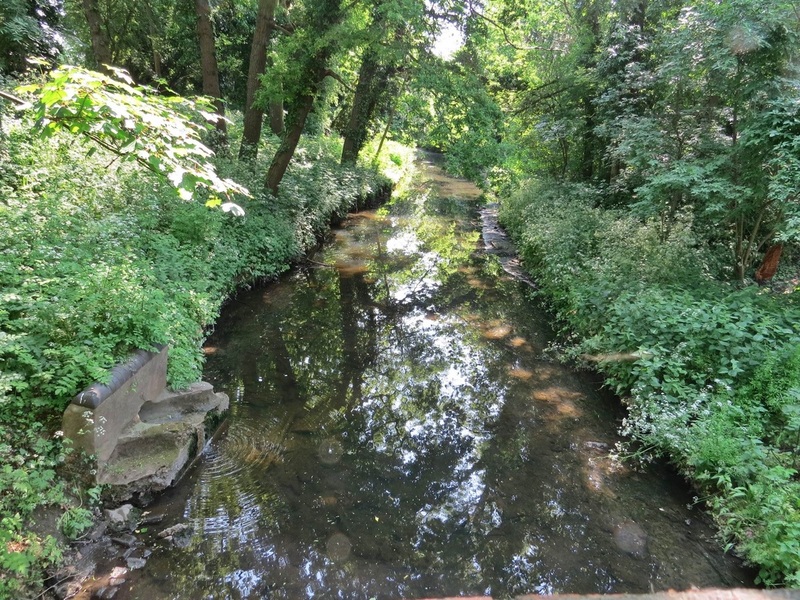 Until 1965 Dollis Brook formed the boundary between the municipal boroughs of Finchley and Hendon. 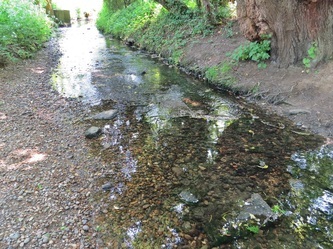 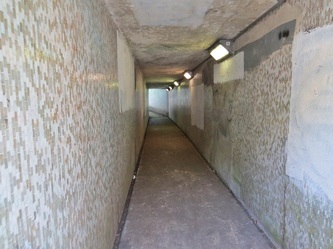 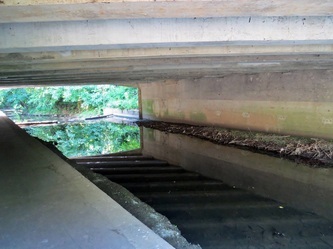 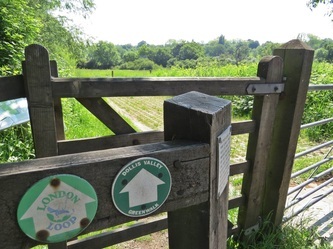 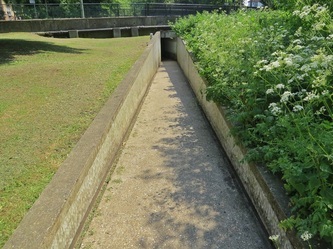 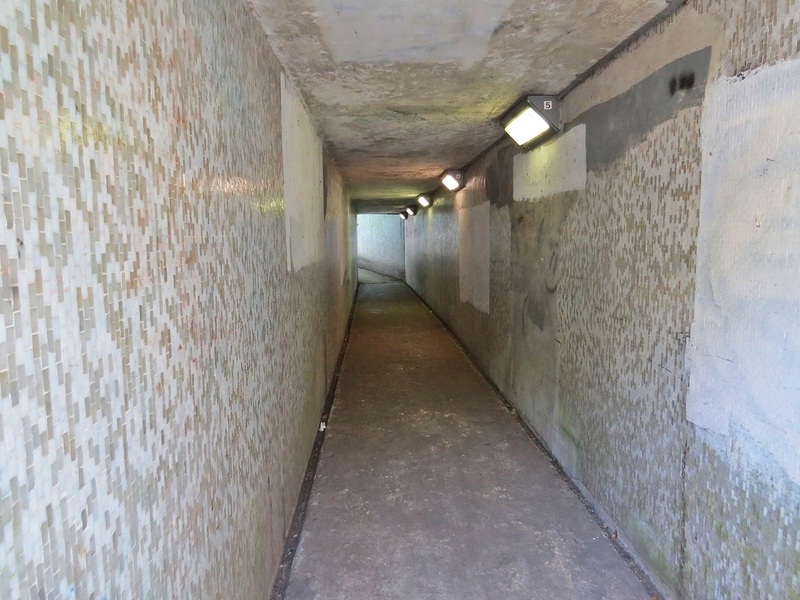 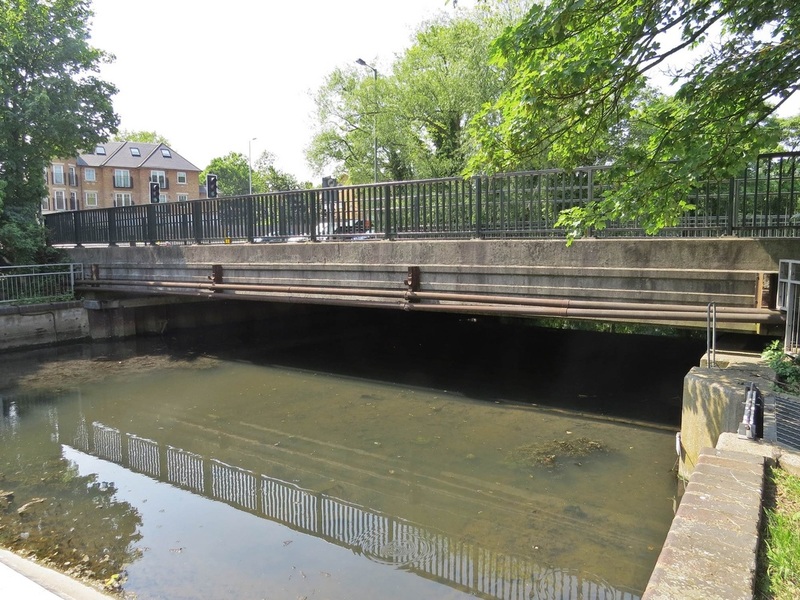 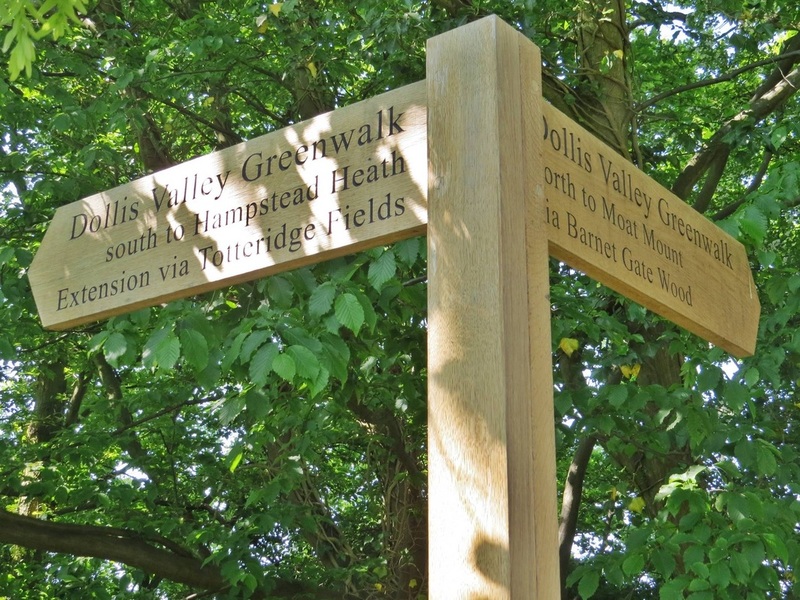 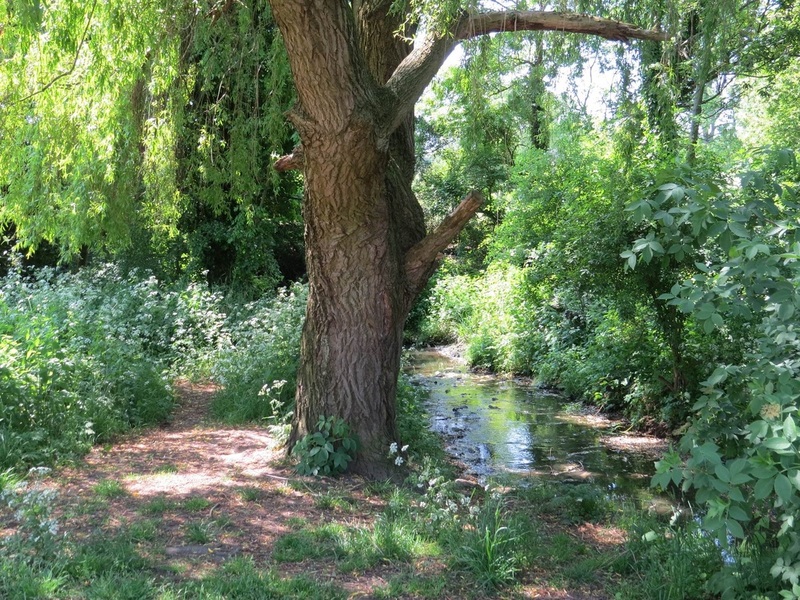 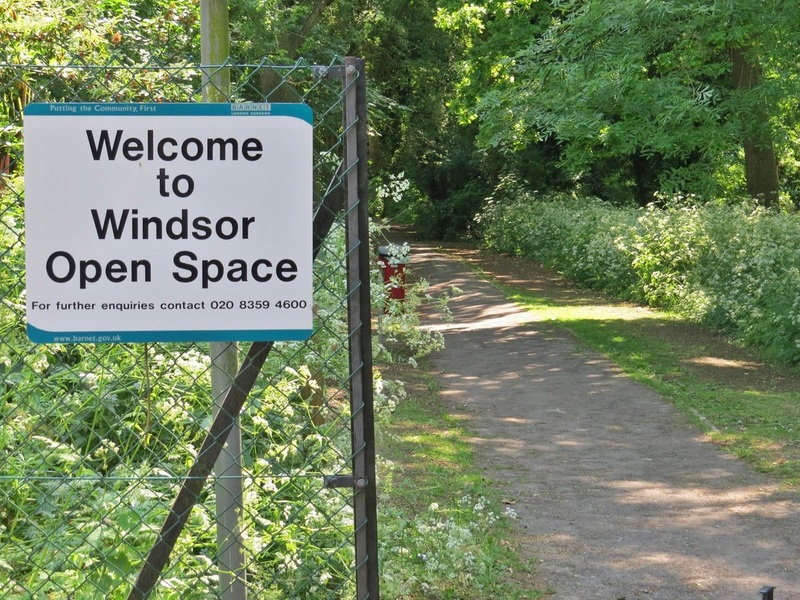 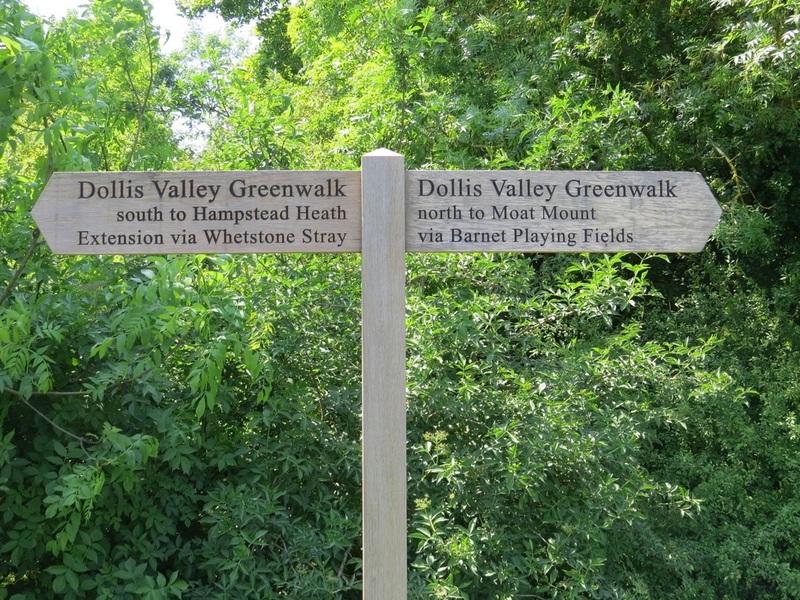 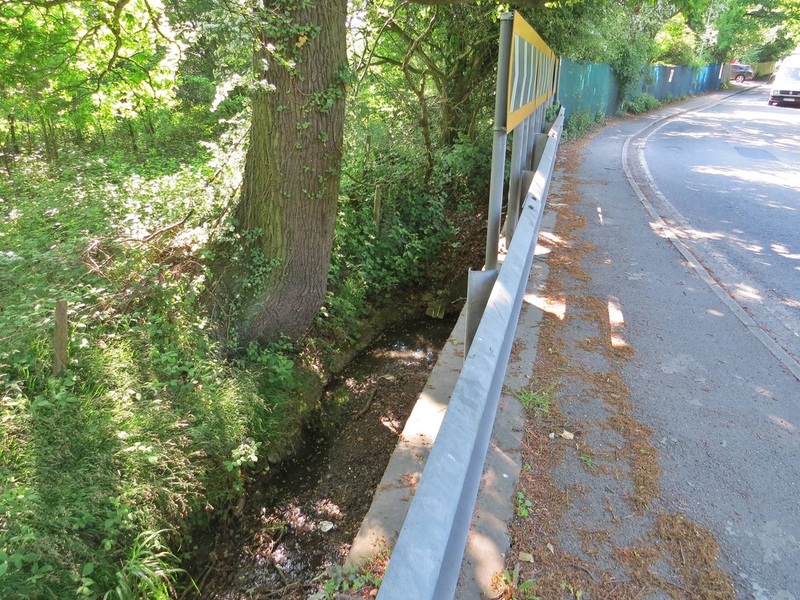 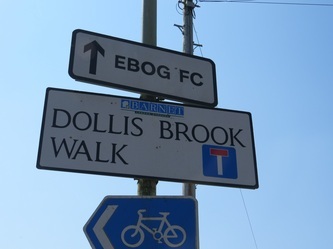 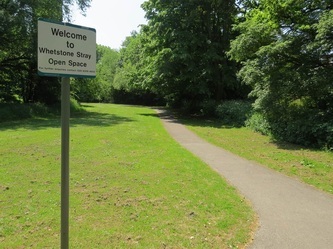 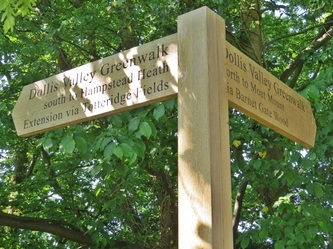 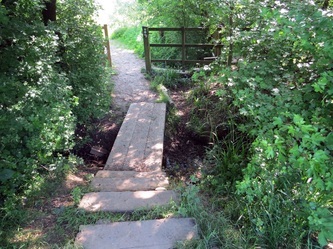 Dollis Brook then passes under Dollis Road and through Windsor Open Space to the Great North Way (A1). 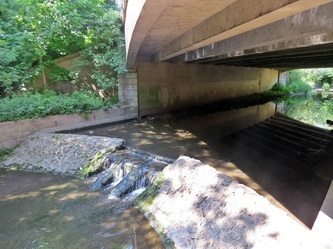 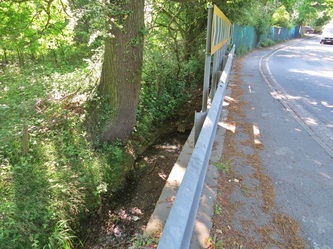 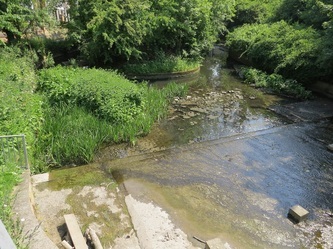 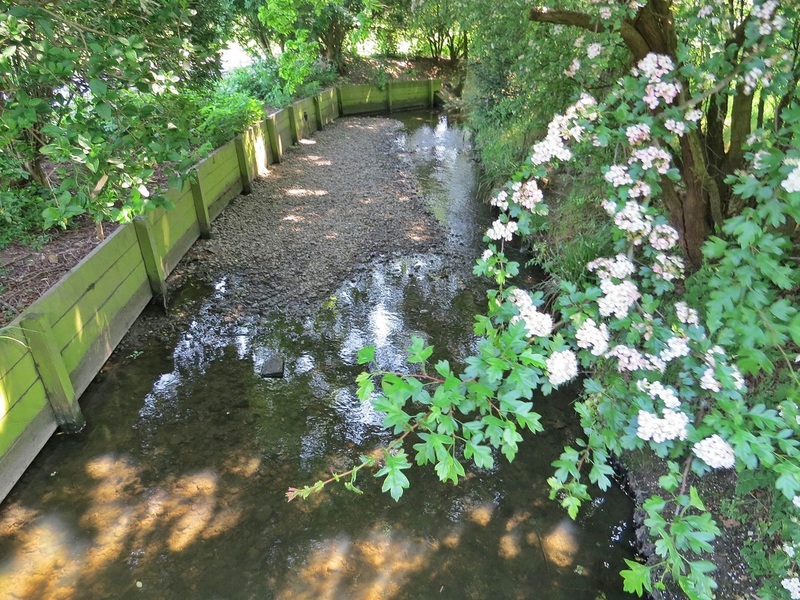 Near Bridge Lane in Hendon it merges with Mutton Brook to form the River Brent. 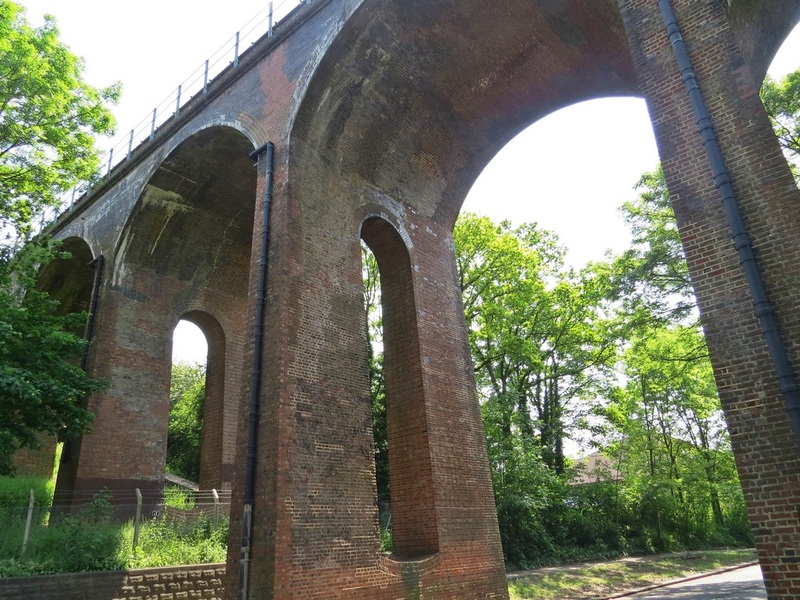 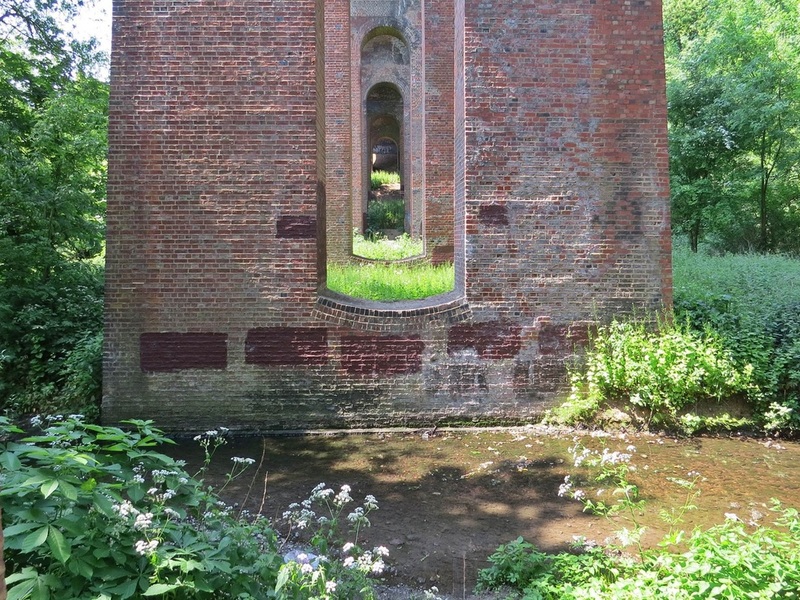 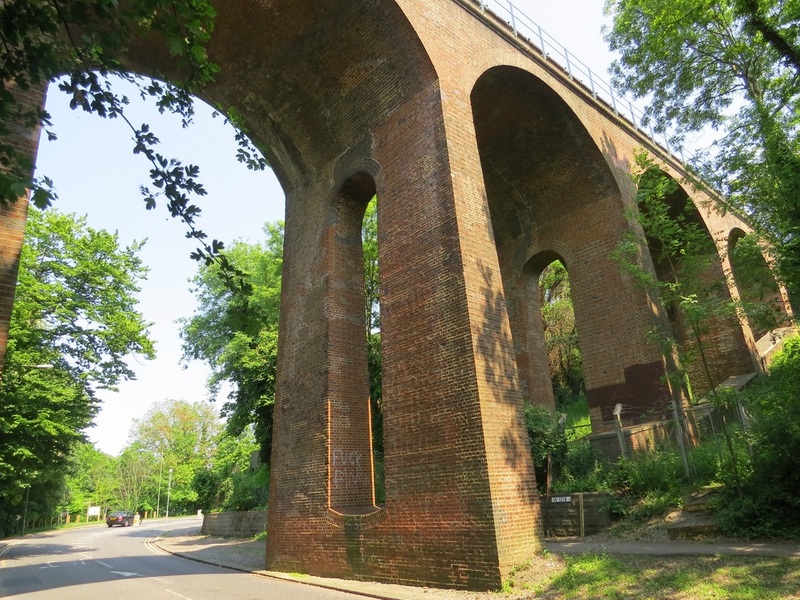 *The Dollis Brook Viaduct (aka Dollis Road Viaduct, Dollis Viaduct, Mill Hill Viaduct and Finchley Viaduct) opened in 1867 is a railway viaduct in Finchley which currently carries the Northern line from Mill Hill East station to Finchley Central station. It is the highest point on the London Underground above ground level, reaching nearly 60 feet (18 m). 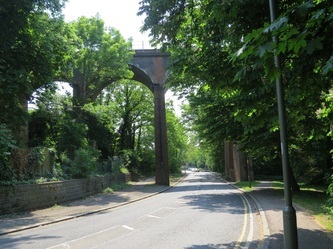 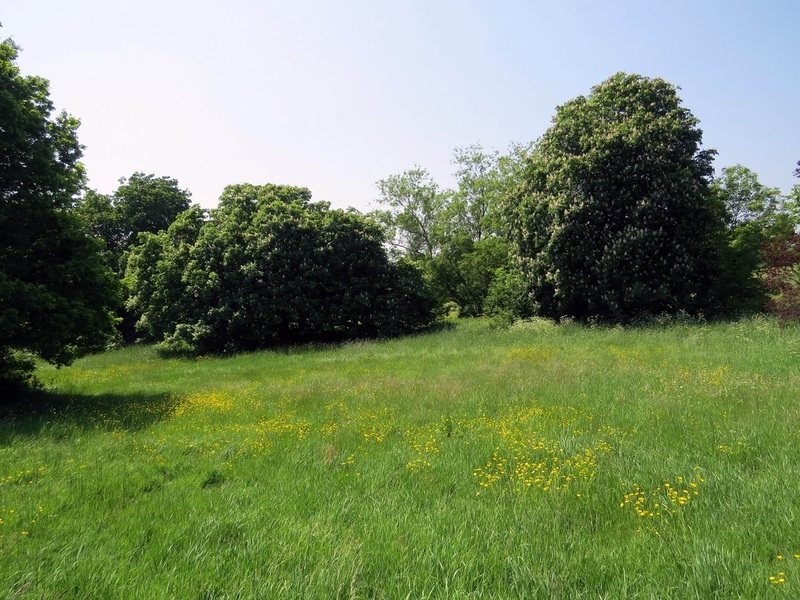 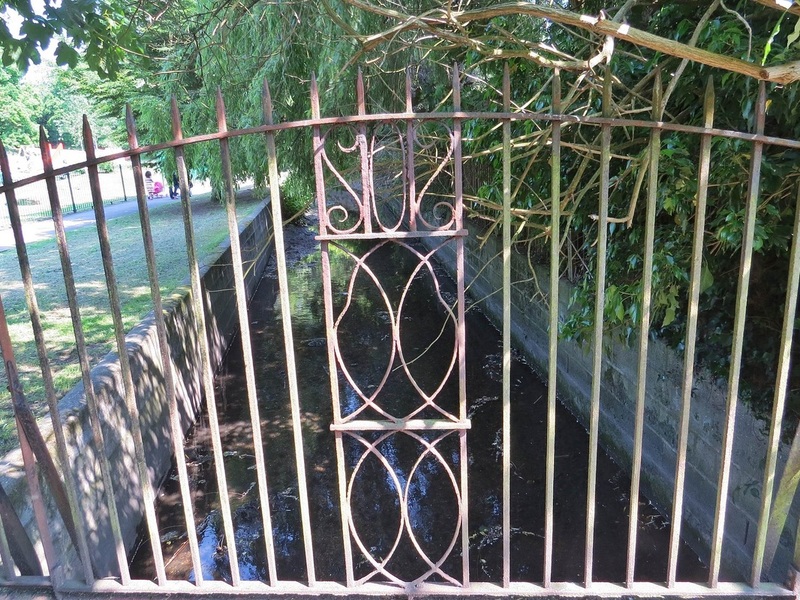 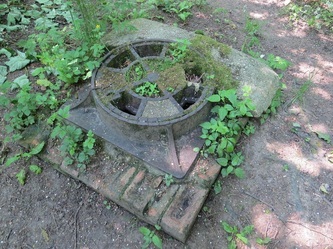 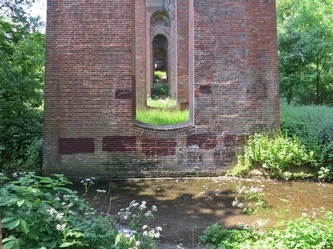 It is located on a branch that was formerly part of the Edgware, Highgate and London Railway. 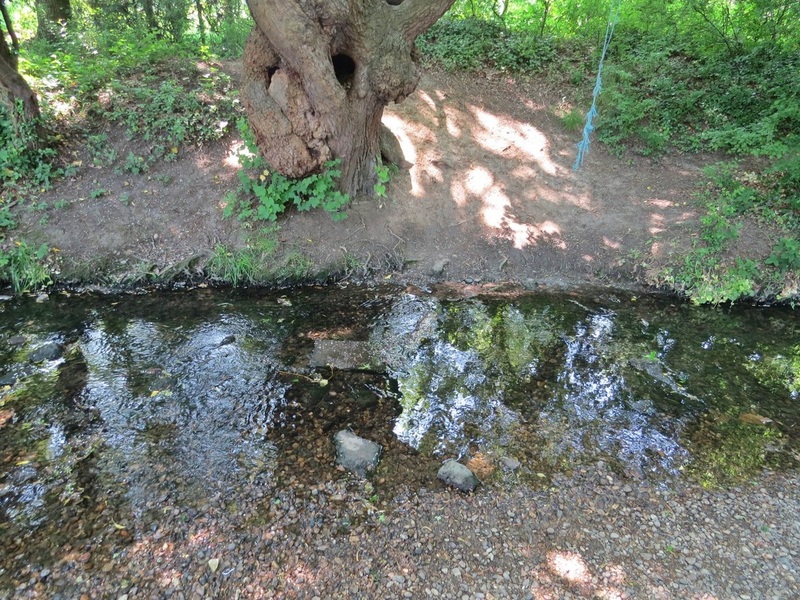 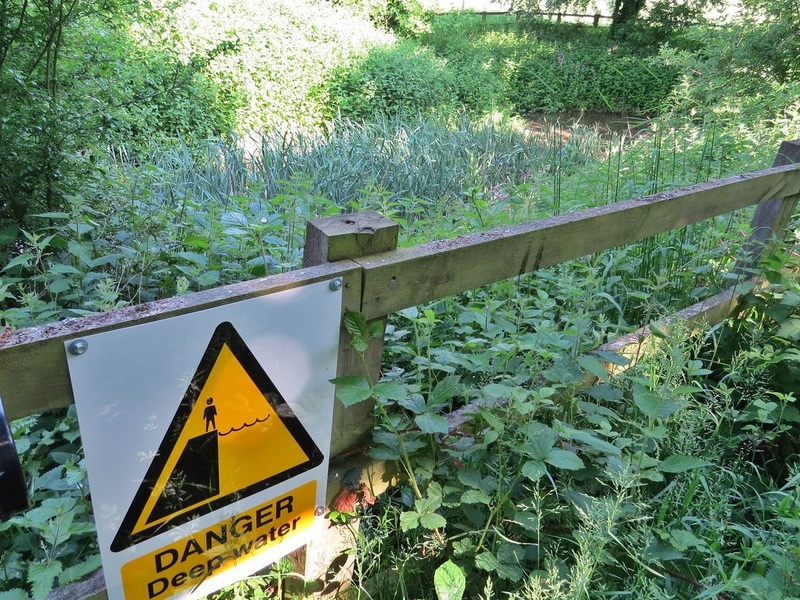 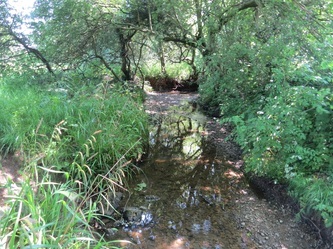 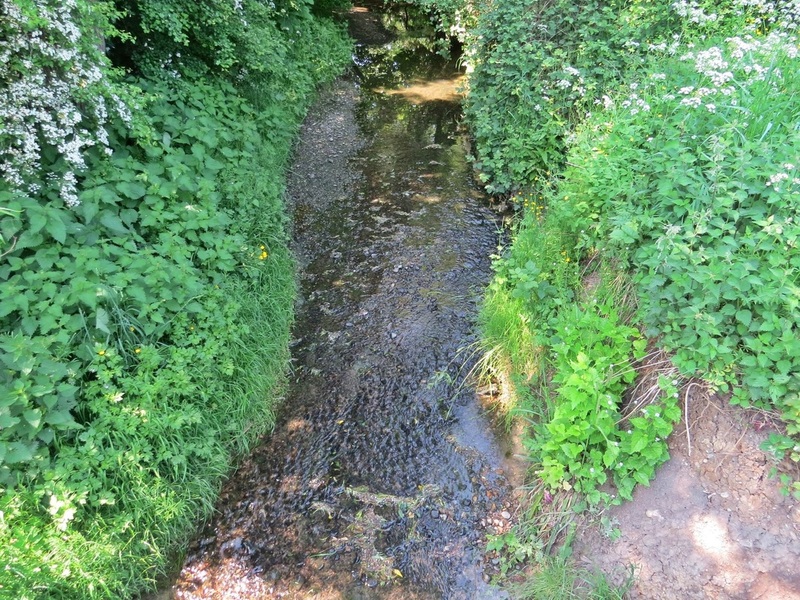 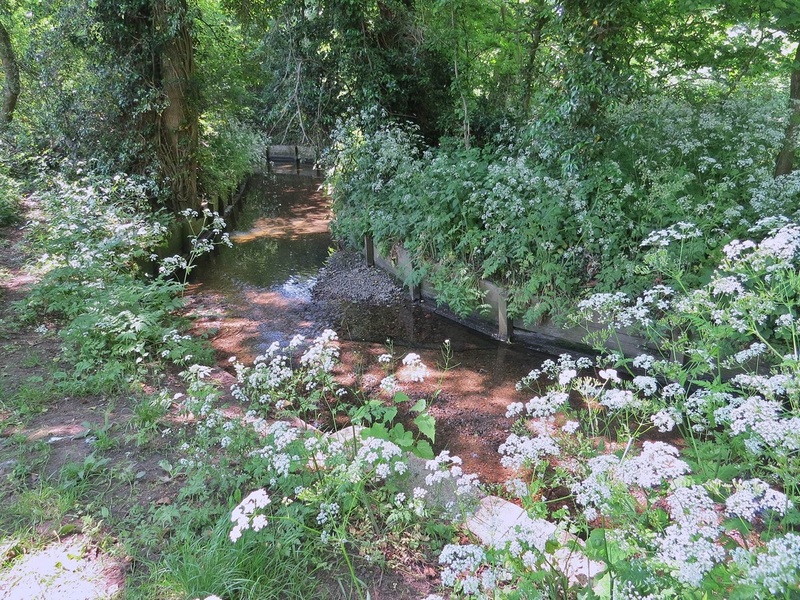 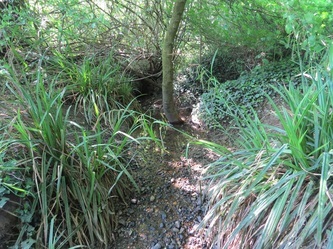 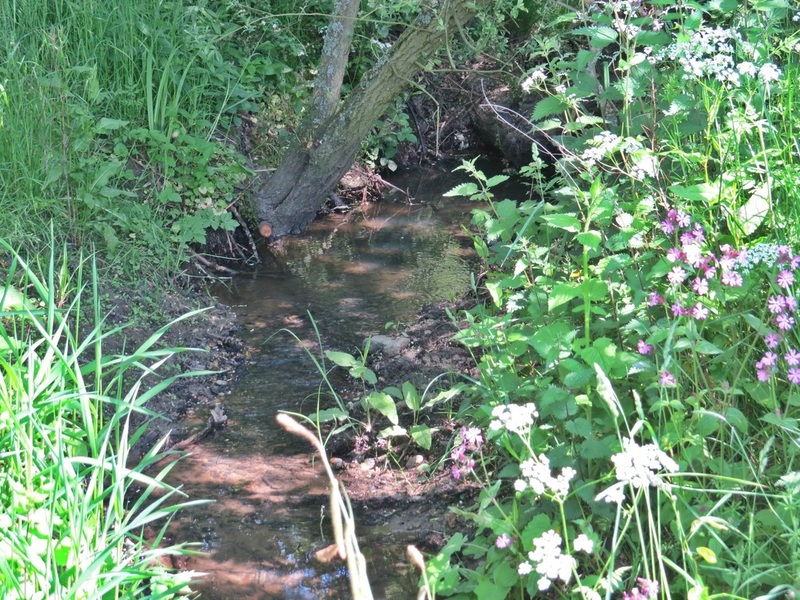 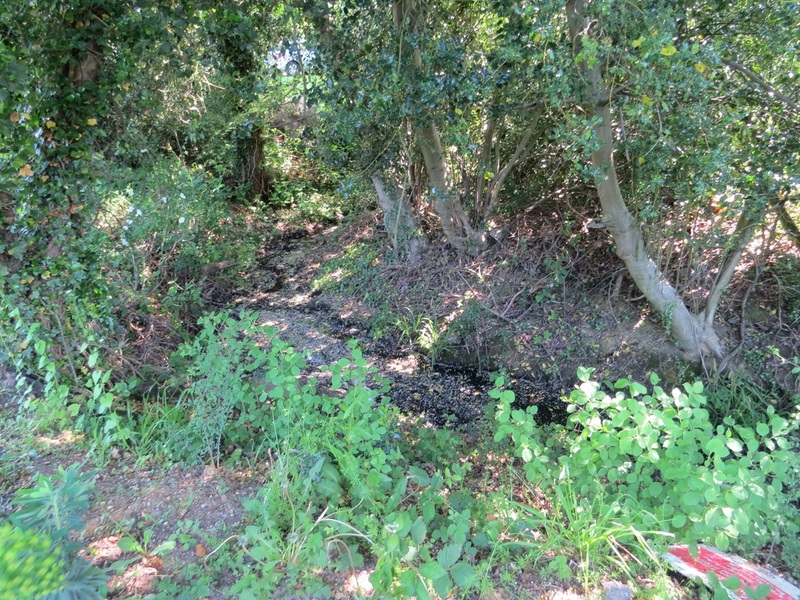 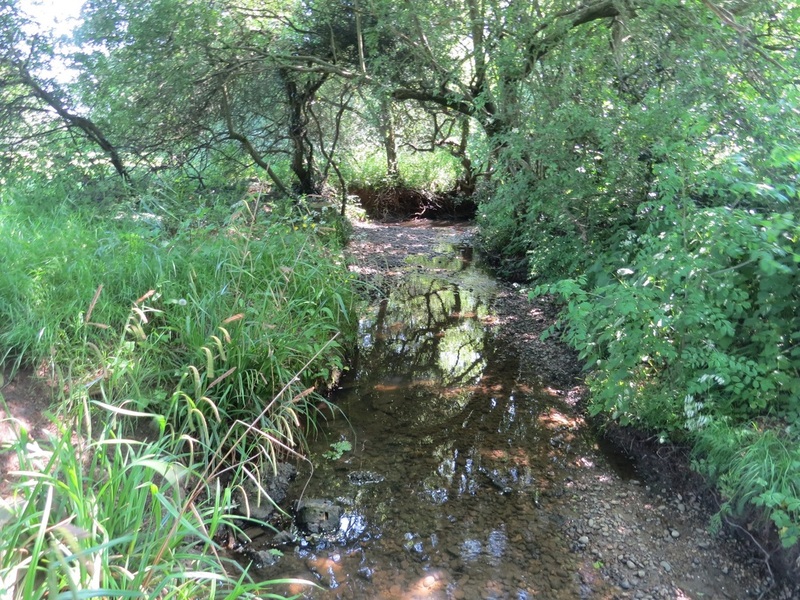 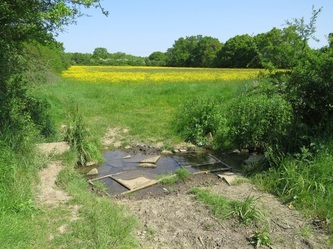 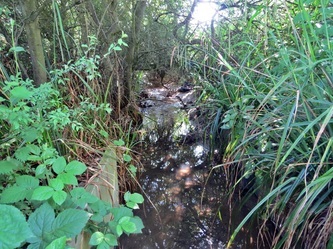 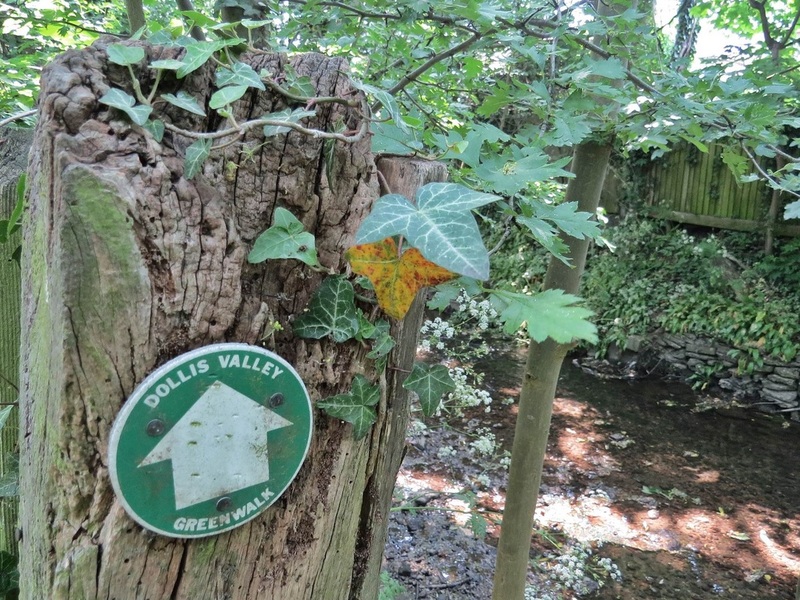 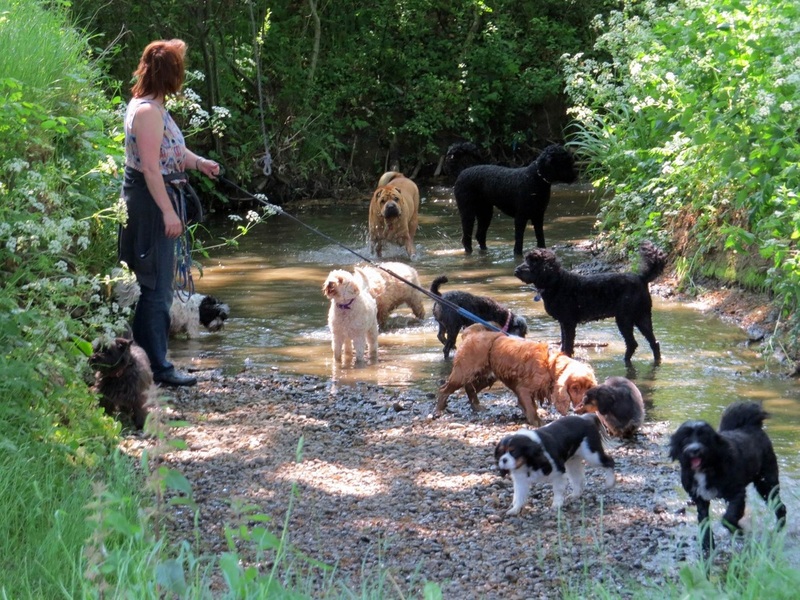 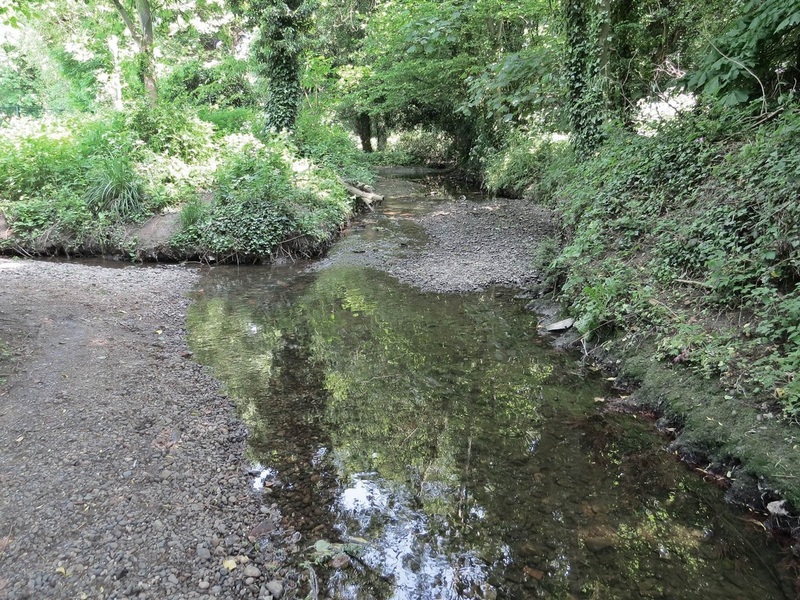 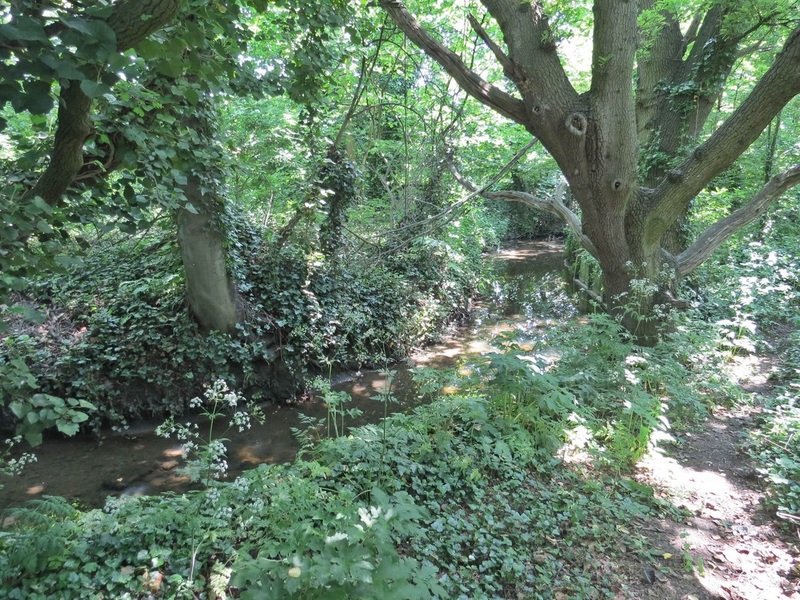 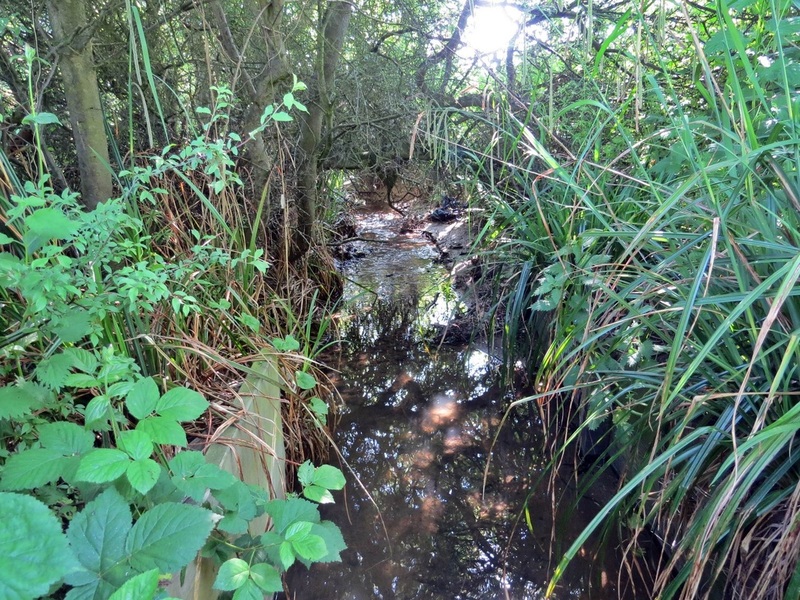 The Dollis Brook is too shallow to be navigable and I cannot find any records that it ever has been navigable. 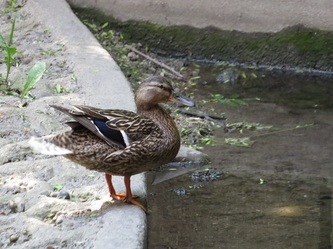 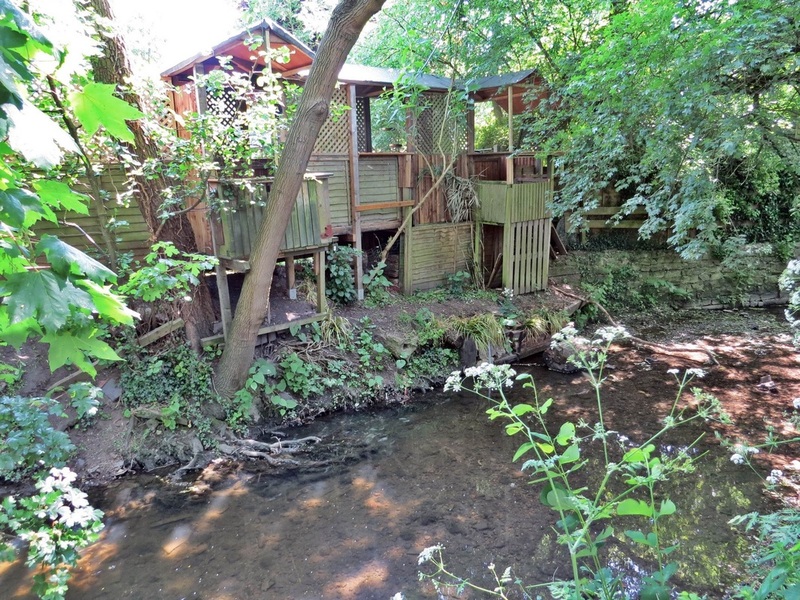 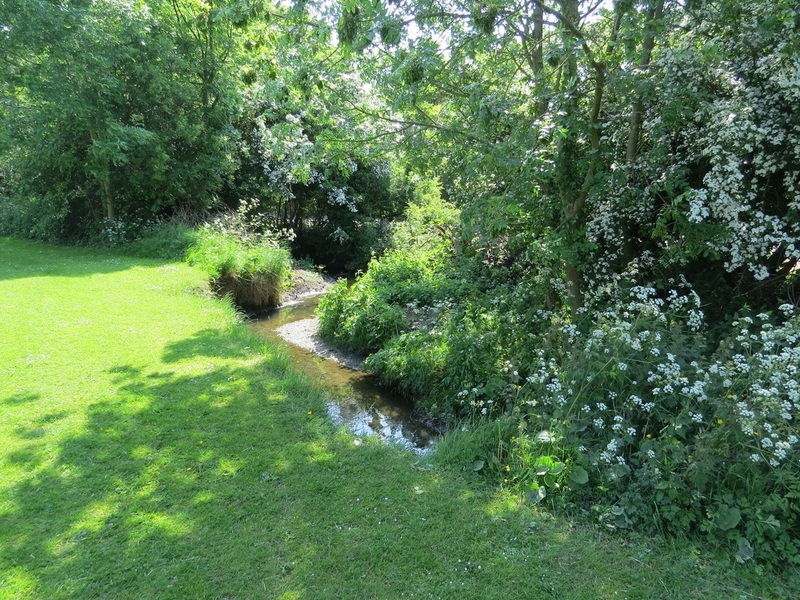 It is however a haven for wildlife.The stream is known to be home to owls, water fowl, fish and a variety of aquatic plants. 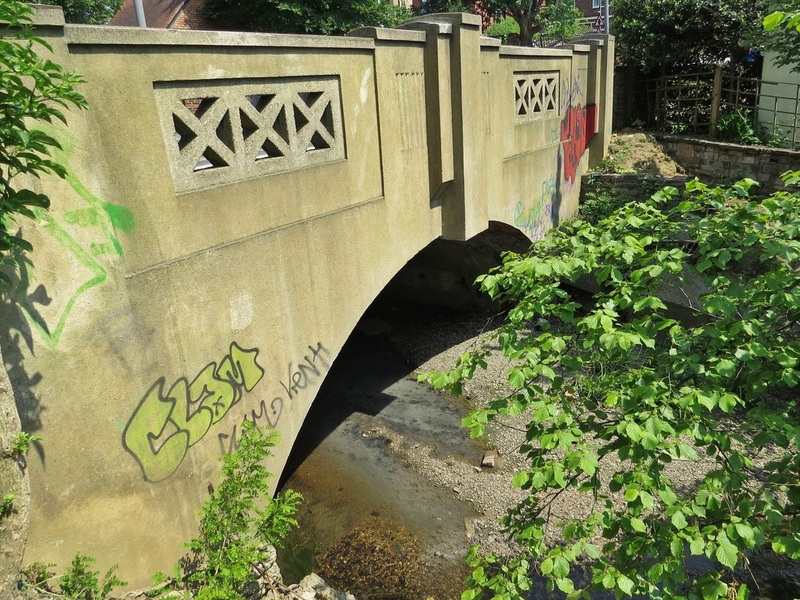 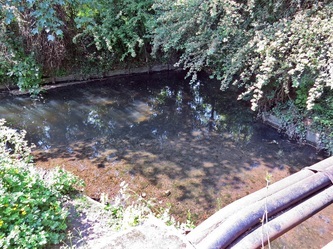 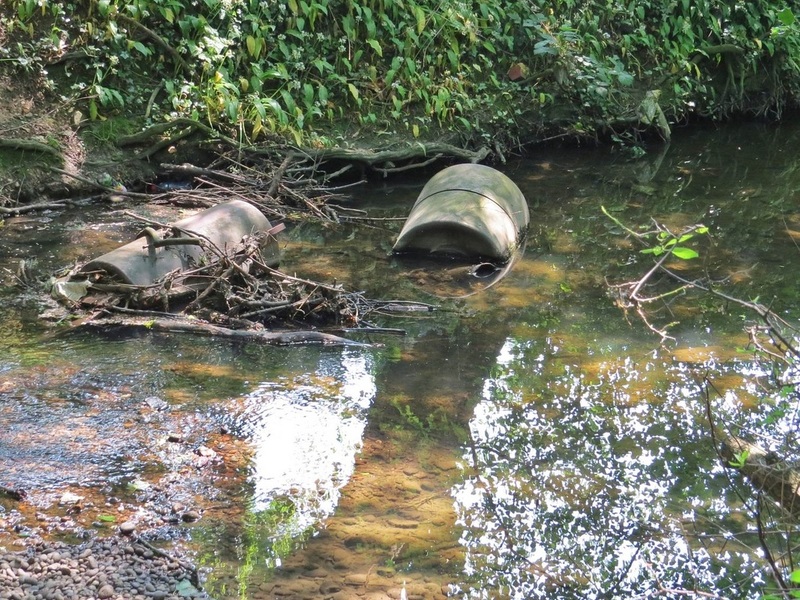 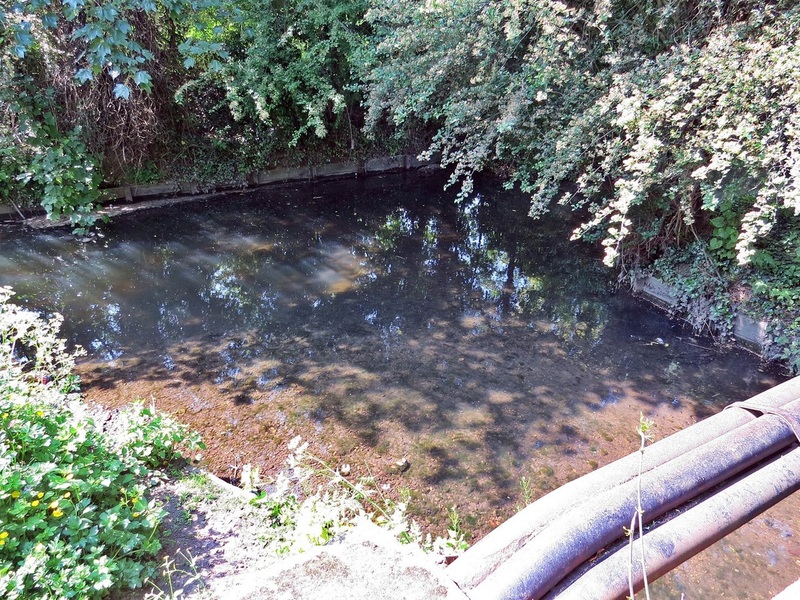 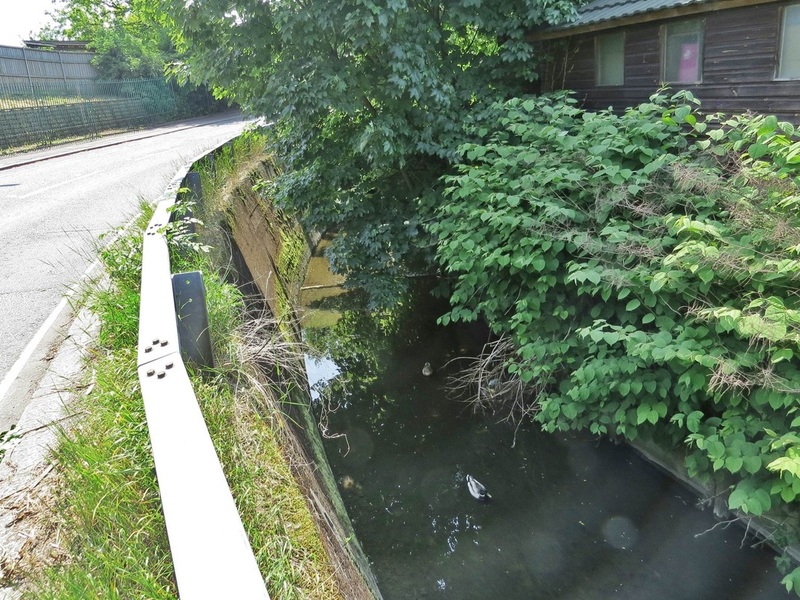 However The Environment Agency reported a raw sewage spill that left a number of fish dead in late 2012. 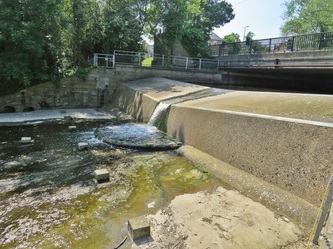 A Thames Water pump failed in Gordon Road,Finchley N3 leaving faeces to overflow into the water. 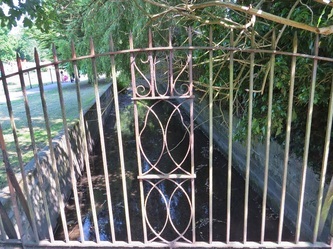 Neighbours reportedly woke up to an “horrendous” stench as engineers were called in to fix the problem.